In 2017, Australia endured one of its worst flu seasons in years, with 250,000 confirmed cases of influenza – and nearly 1100 deaths. Influenza is a debilitating virus whose symptoms include fever, nasal congestion, ear pressure, sneezing, muscle aches, watering eyes, rashes and fatigue. It can potentially cause pneumonia, and fatalities are not unusual. 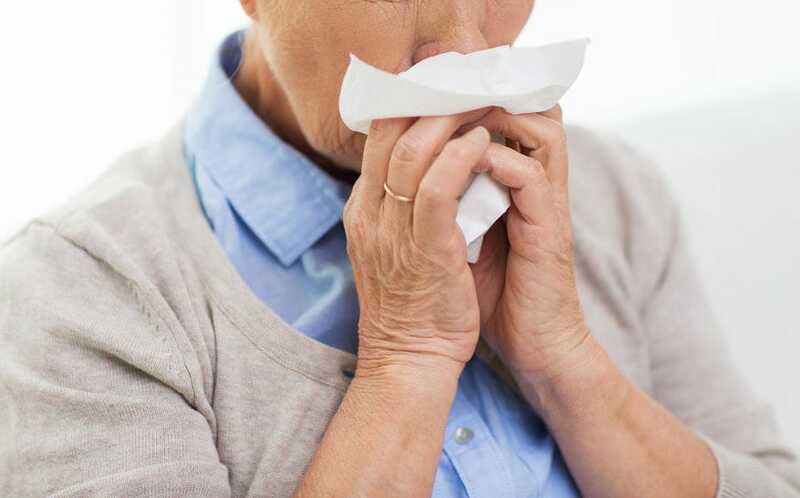 Of the flu-related deaths in Australia last year, more than 90 per cent were people aged over 65. On the doorstep of the 2018 flu season, The New Daily spoke to experts to debunk some common myths about the influenza virus. Is the flu linked to cold weather? Emeritus Professor of Virology Christopher Burrell believes the virus is more common in winter months. “In the winter, people tend to huddle indoors more and there is closer contact between bigger numbers of people, especially in schools and preschools, where much of the spread happens,” Professor Burrell said. In addition, the virus might survive longer between patients in cool, moist weather – making winter its perfect environment. Can the influenza vaccine give you the flu? The flu vaccine does not contain the live virus, so you can’t get sick from having the jab. After being vaccinated, the body responds by producing antibodies. Protection from the flu starts about a fortnight after vaccination. The Australian Government recommends annual flu vaccinations for everyone aged from six months. Some people are eligible for free vaccines; they include those over 65, some Aboriginal and Torres Strait Islanders, pregnant women and those with certain medical conditions. The European Centre for Disease and Prevention and Control says having the flu vaccination reduces the risk of getting the virus by 60 per cent. However, in a less effective year, the vaccine reduces the risk by only 20 per cent to 30 per cent in the overall population. It is also important to be vaccinated every year as the virus is constantly mutating. Can a Bar of Soap Transmit Infection? Mandatory Flu Vaccination for Aged Care Staff – Can Providers Implement a ‘No Jab, No Shift’ Policy?